Started watching Alien again last night on HBO GO. What an awesome movie. I really love the computer on the Nostromo: Mother. The movie is so good, that I am not even drawn out of it when you see how outdated what Ridley Scott thought the future would look like from a technology standpoint. It doesn’t matter. It has it’s own aesthetic. It really is it’s own world, time, and place. I love that green screen computer interface that is the super brain/AI of the Nostromo. It’s creepy and awesome that something so rudimentary is passing along orders telling an android what to do with the crew of the ship (EDIT: I am reading this well done blog post about Alien, and apparently this message was displayed for Ripley – not Ash. I am not up to that part yet in my re-watching). In the beginning of the movie one of the crew goes to interface with the computer when they wake up from cryogenic freeze and he just types in: “What’s the story Mother?”. Apparently we are very congenial and conversational with computers in the future! I love it. 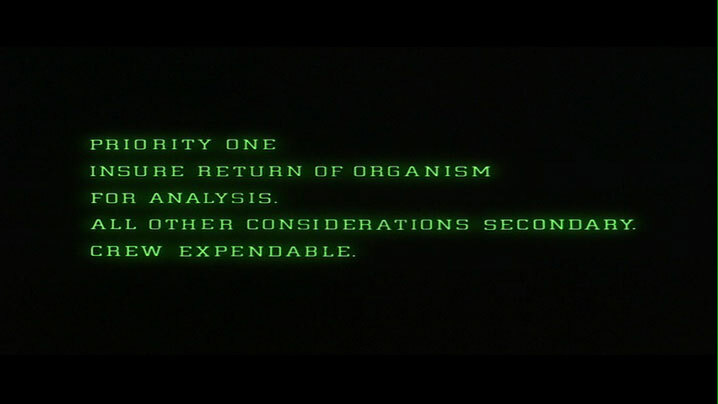 I like HAL from 2001, but I still say Mother is my 2nd favorite science fiction movie computer – after GERTY. GERTY’s the best.